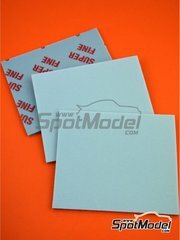 Super fine grade sanding sponge, perfect for preparing your model's bodies and medium-sized parts. 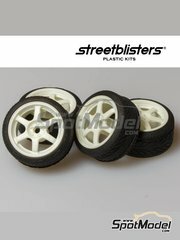 You can use it both dry and wet if you need an even smoother abrasion, and they are absolutely essential on every modeler's workbench. Each sponge measures 140 x 115 mm in 600 grit. 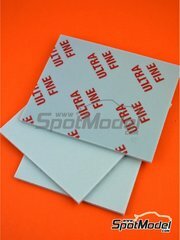 Ultra-fine grade sanding sponge, perfect for preparing your model's bodies and medium-sized parts. 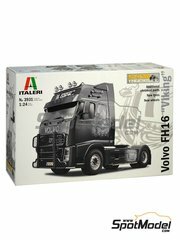 You can use it both dry and wet if you need even smoother abrasion, and they are absolutely essential on every modeler's workbench. 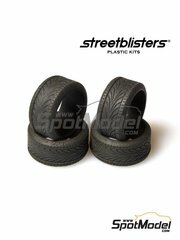 Each sponge measures 140 x 115 mm in 1000 grit. Rice paper mask sheets, also known as "kabuki" paper, measuring 145 by 200 millimeters. 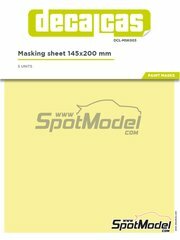 Each package includes 5 sheets. 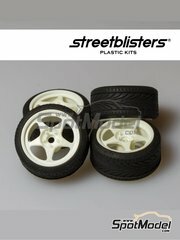 They are perfect to make all kinds of designs that use paint masks in your models. 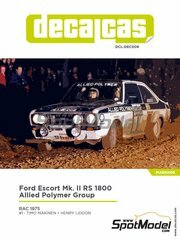 The absolute winner of the 31st RAC Rally in 1975, when Mäkinen achieved victory by a bit more than one minute over his nearest rival. 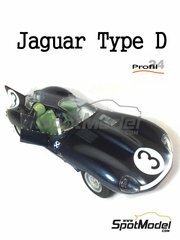 The winning car of the 24 Hours of Le Mans 1957, made in resin and with a fully detailed engine. Are you going to resist? 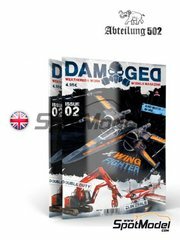 "Damaged" is the new magazine of Abteilung 502 (part of AK Interactive), which wants to show modellers how to age any model, under any circumstances or with any effect. 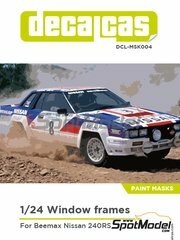 This issue includes new articles in the 80 pages that make up the magazine (English language edition). 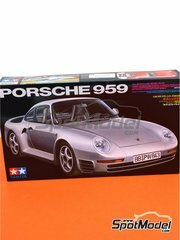 Time limited re-edition of this classic Tamiya model of one of Porsche's most advanced cars of the 80s. 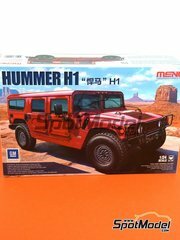 The second model by Meng of a civilian car in 1/24 scale. 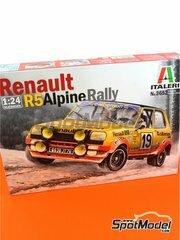 This gorgeous kit includes a fully detailed engine, and fully functional bonnet, doors and steering wheel. 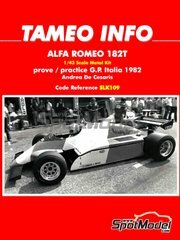 Test version, of the Alfa Romeo 182, just like it was used during the training sessions of 1982 Grand Prix of Italy. 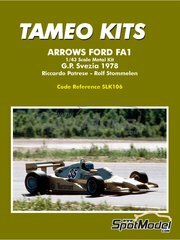 Scale model kit of the Arrows Ford FA1 sponsored by Warsteiner that participated in 1978 Swedish Grand Prix, that Tameo has broken up in parts for us with their usual excellence. 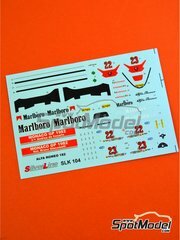 In the box you will find a large part made of white metal and photo-etched parts, as well as other metal parts. 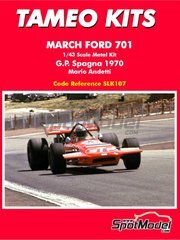 That beautiful Andretti's March 701 at the 1970 Spanish Grand Prix, celebrated in the legendary circuit of the Jarama. 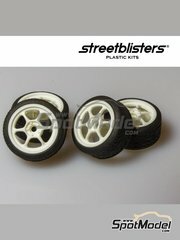 The kit includes white metal parts, water decals, photo-etched parts, rubber tires, etc. 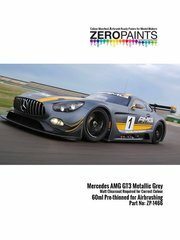 Zero Paints product range has been specially formulated for modelers who need the best possible approximation to the colors of real street and competition vehicles. 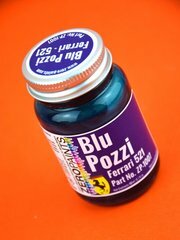 This time we introduce the Blue Pozzi color, formulated by Ferrari for their super sport cars. 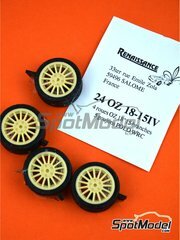 Set of four slick tires and OZ 18 inch rims, featuring 15-spoke and five nuts, as used especially in the VW Polo at the World Rally Championship. 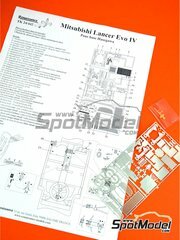 New photo-etched parts designed for the Mitsubishi Lancer Evolution IV kit just released by Hasegawa. 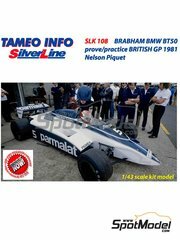 Includes everything you need so you can detail your model as it really deserves.